Happy2u.cc is a very convenient online store which is selling from top to bottom, from hair accessories to shoes, you can get most of the things you want by just visiting to their website. Visit to their website you will be amazed by their products.... everything inside are so in trend and looks super nice! And their price is definitely affordable, or I should say all the products are actually selling at a low price while the quality is good! 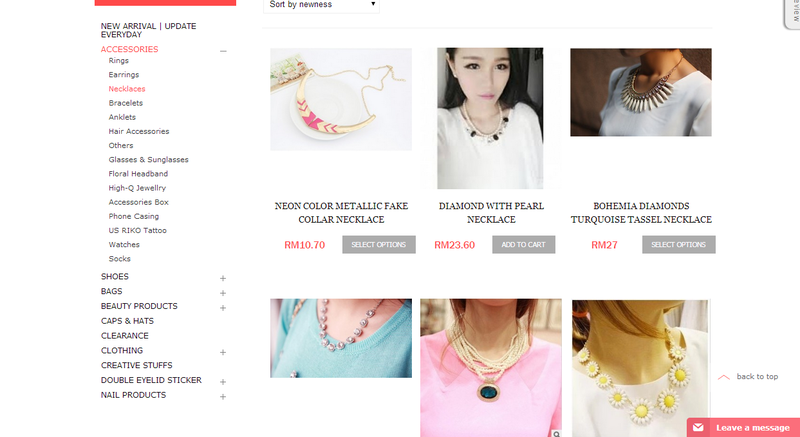 They will keep update new stock every week so everytime you click into their website you will found out more surprise and attractive product! Some close up photo for this sneaker. It is comfortable to wear it. Can match with pants or skirt, any style will do. It is a "multi-style sneaker " .... The studs necklace I wore in this picture is also from happy2u.cc... All their accessories are too nice to put on. Spot the same item between this photo and the first photo.... can you found the same item???? Yup..... is the heels! This heels is my new love recently, always looking for a pair of black high heels and now I found. The height is 11 cm but it is okay to walk, quite stable. I wore it on Mface launching day and it "serve" me well. And this pair of heels only cost RM 39, comes in black and white colors..... how can you miss it??? Want more? Visit to their website http://www.happy2u.my/ and view more goodies! 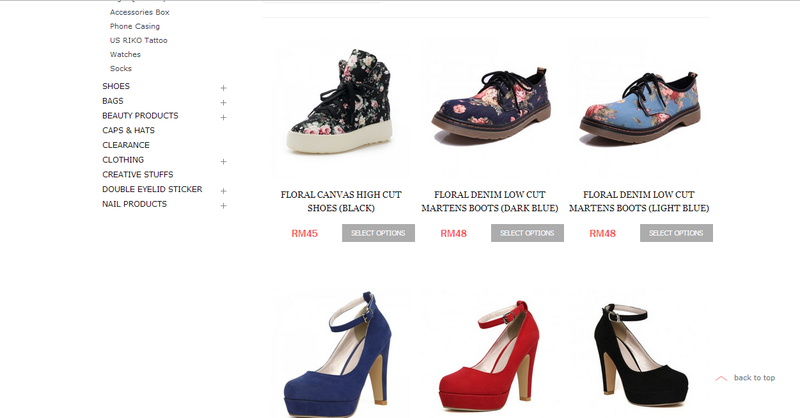 I bet you will fall in love with them.... if you are living in Kuantan, you can always visit to their store!